During this interview, Curt gives the ingredients to the recipe of success. Hard work, tenacity and drive are only a part of it. 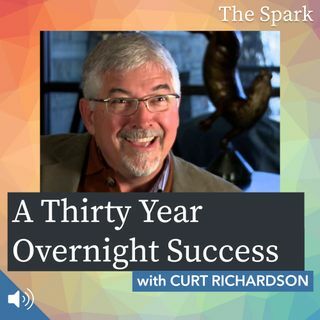 Tune in and join us for a 30 year journey to an overnight success. The Spark is supported by its listeners, and by Audible.com. With over 180,000 titles to choose from, Audible.com allows you to listen to an immense library of books for every taste on your iPhone, Android, Kindle, tablet, or computer, including Resilient by Rick Hanson and Molly’s Game by Molly Bloom.